Many polymer artists, especially those who are making series or duplicates of items, rely on color recipes to make uniform pieces. For those of you who have been with me for awhile now, you know that I rarely use recipes. Why? Because I like that all my pieces are different in color, that I don’t repeat colors, and that nothing I make is ever identical. To me it adds to the special nature of my sculptures. But I’m not the norm when it comes to polymer artists. One of the recipes that I use over & over in my studio (despite the previous confession) is rose gold. 90% of the clay I use is Premo! 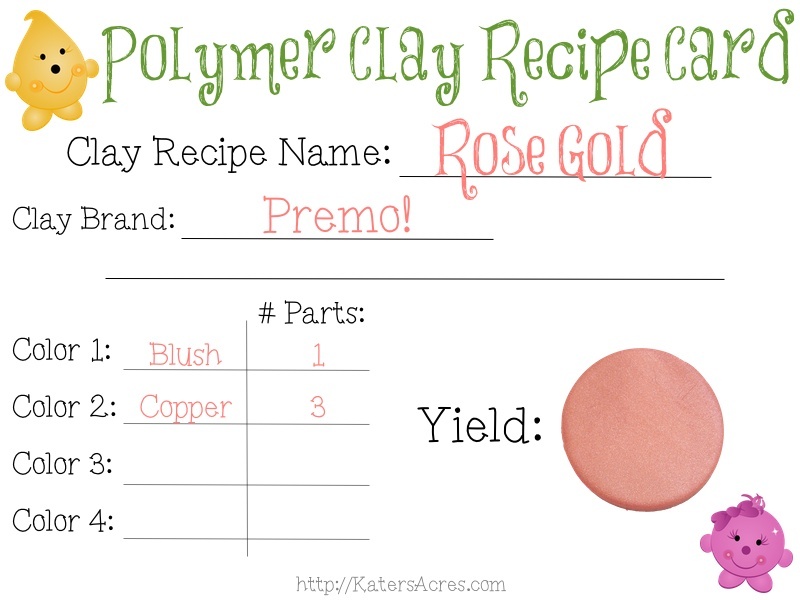 polymer clay, this is my preferred and “go to” brand, though I also use Fimo, Pardo, & Cernit. 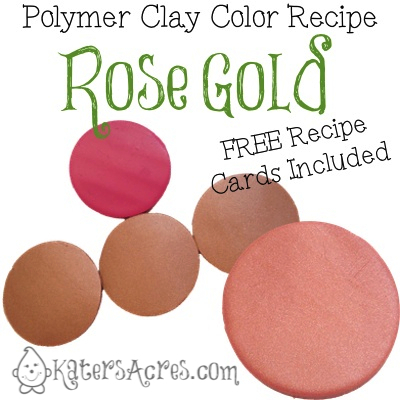 Here’s my “go to” recipe for rose gold. I generally make this in a batch equivalent to a 2oz. block of clay. I prefer the look the copper gives when baked as opposed to any of the “gold” Premo! Accent variations. Add more pink for a greater “Pink” tone. Add more copper for less of a “pink” tone. Add a little black for a darker version.